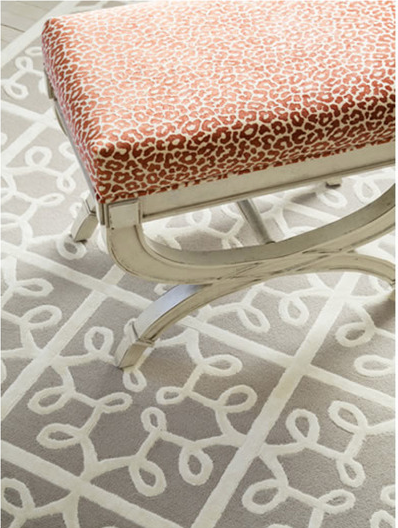 Pindler’s Pattern 4570 Renwick is an exclusive upholstery large scale contemporary geometric. Renwick is an exciting and transitional pattern that is reminiscent of traditional ethnic styling, made modern with use of bold colorations and a clean layout. The figures in Renwick form wide patterned stripes in bright colors against a neutral background. Renwick is offered in 6 colorways and meets 39,000 double rubs. To view this pattern visit Pindler, Suite B530 at PDC. 310.289.0200. pindler.com. Join Baker and Jim Caughman for an insightful presentation dedicated to “Selling Luxury.” Wednesday, May 1 | Baker Knapp & Tubbs at PDC. RSVP at bkt.la@kohler.com. The PDC 2014 Showroom Directory is now available, featuring an updated and comprehensive list of all showrooms, represented lines, product categories available in the building. 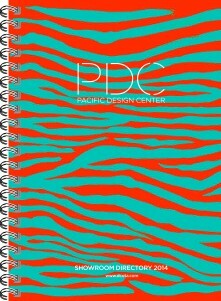 The Directory can be purchased for $12 at PDC’s Information/Concierge Desk. The Directory is also available by mail. For more information, please contact the PDC Marketing Office at 310.360.6408. Don’t miss out on getting your own copy of this essential design resource! In a warm palette of creams, lavenders, rouges and blues, this new Patterson Flynn Martin collection from tastemaker Timothy Corrigan features sophisticated patterns that are grounded in historical references yet modernized with the designer’s iconic sense of comfortable elegance. Lyrical, organic designs, grid-like patterns and finely detailed borders and fields reflect a well-traveled, synthesized point-of-view. CLICK HERE to view the complete Timothy Corrigan Collection . VAROLA is pleased to announce its inaugural exhibition featuring work by Simryn Gill. Following Gill’s inclusion in dOCUMENTA (13) and her solo exhibition Here art grows on trees in the Australian Pavilion at the 55th Venice Biennale in 2013, VAROLA presents Gill’s monumental work “My Own Private Angkor” (2007-2009) – a series of ninety black and white silver gelatin prints – which are installed in its entirety. This will be the first time the work has been exhibited in Los Angeles following her New York exhibition at Tracy Williams, Ltd. and its inclusion in the Istanbul Biennial in 2011. The exhibition will be on view through May 1, 2014.